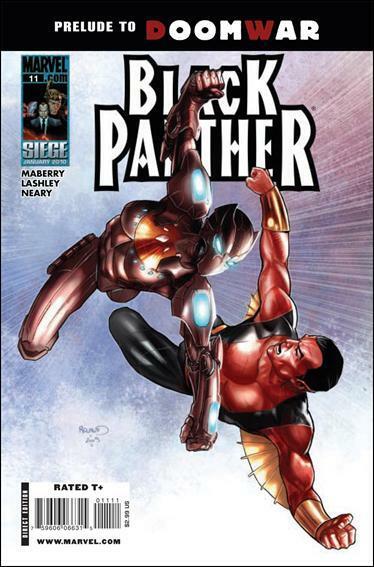 “POWER,” PART 5 T’Challa prepares his Dora Milaje army to fight an unwinnable war, Storm battles an unstoppable and unnatural destructive force, and the new Black Panther wages war against an unbeatable foe: Prince Namor , the Sub-Mariner! Guest-starring the Fantastic Four! Shuri tries to get some answers about the faked tape that implicates Namor. He is less than co-operative and she has a short temper. A fight ensues she almost wins until he reaches water. In Wakanda Zawaviri and T’challa are about to test their newly trained warriors. On T.V the press continues to lambaste the leaders of Wakanda especially when Storm accidentally electrocutes a man who she thought had a gun. T’challa and his newly trained warriors are ready for battle! Shuri and Namor’s battle is stopped by the fantastic four who reveal that the tape was a forgery and the culprit is the “broker”. They make plans to go straight for him. He is prepared however as Doom informs him they are coming. 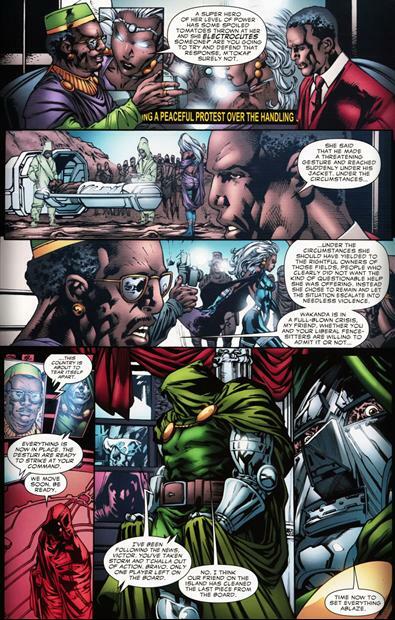 In Wakanda the Desturi and Doom are ready to make their move. The interior art saw a jump in overall quality and for this I’m pleased. Doom and the Desturi are wonderfully written and realized, I honestly can’t wait for next issue and the coming Doomwar things are just exciting. This issue had a nice blend of art, suspense, drama and an unfolding scheme that is must read stuff. T’challa and Doom two of marvel’s greatest minds are set to clash and I can’t wait for it. 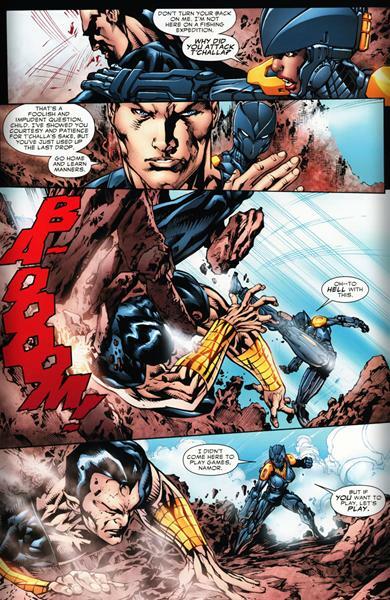 Storm electrocutes a man…..I don’t know but I’ve been reading storm for years and I just cant see her hitting him with enough electricity to put him in a hospital when all she needed to do was subdue him……Perhaps this being a set up is to blame. 3.5/5 a great conspiracy is coming to fruition and it is glorious!